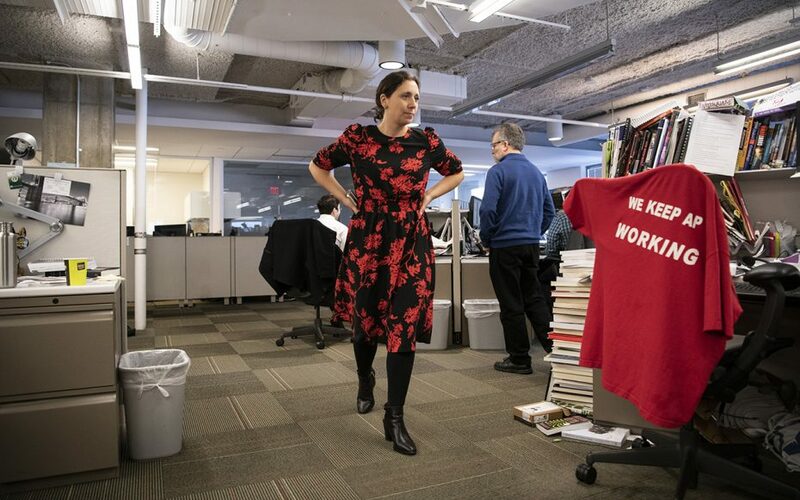 Julie Pace, who was named Washington bureau chief for the Associated Press in 2017 at age 35, has been explaining things and chasing stories since childhood. 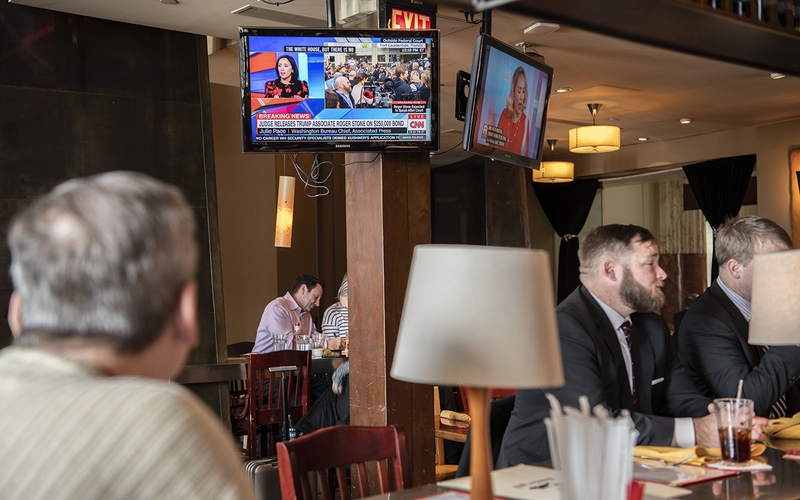 WASHINGTON, D.C. — Roger Stone had interrupted Julie Pace’s day. Three hours earlier, federal agents arrested Stone in Florida. At about the same time Stone was posing for mugshots, Pace was getting her 9-month-old son, Will, ready for the day. But then the news alert popped on her screen, and her team of reporters and editors from the Associated Press started calling. Pace, a Buffalo native, is one of the most influential journalists in Washington, and one of the most scrutinized. The 37-year-old Amherst High School graduate is the Washington bureau chief for the Associated Press. That puts her in charge of about 100 journalists and staff. It also includes Trump-era investigations such as the one that snared Stone, the political operative who has Richard Nixon’s face tattooed on his back. The longtime Trump ally was charged by Special Counsel Robert Mueller with lying to Congress, witness tampering, and obstruction. There was a time – meaning before Donald Trump became president – when something like Stone’s arrest would rank among the biggest stories of the year. Now, it may not even be the biggest story of the day. A series of laughs emanated from the video conference speakers, and Pace’s colleagues in the room chuckled knowingly. A few minutes later, the video conference ended and another half-dozen of Pace’s staffers piled into the conference room for their daily meeting. They talked deeper on Stone, speculated on when the government shutdown – then in its 35th day – might end, and discussed stories on freshmen congressional committee assignments, presidential primary candidates, and a D.C. comedy club offering free improv lessons for furloughed federal workers. Pace ended the meeting with a simple, “All right. 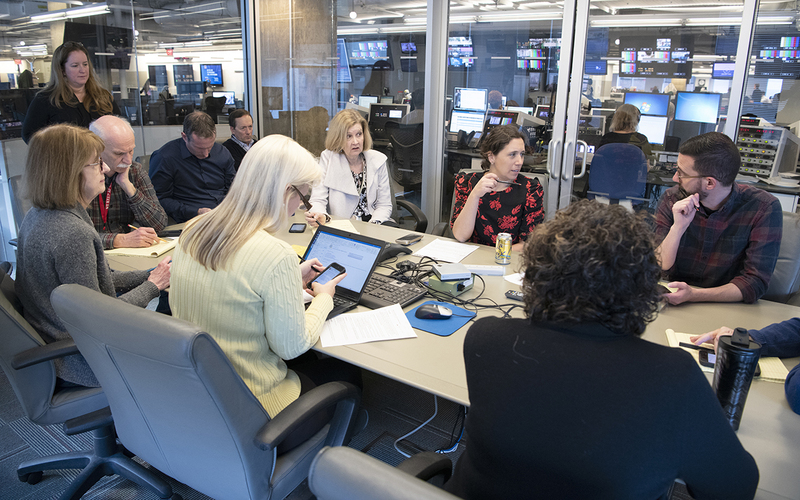 Thanks, guys.” She walked across the newsroom to huddle with members of her team covering the Russia investigation, then chatted with her deputy bureau chiefs. Shortly after 11 a.m., a car service arrived to take her to CNN. In their coverage of the ongoing Russia investigation, King and his staff often use a video clip from a February 2017 news conference in which Pace asked Trump for “a yes or no answer” on whether any of his campaign advisers had contacts with Russia during the election. Trump danced in his initial answer and admonished Pace. That exchange, which lasted just under two minutes, has been played by CNN and other media outlets as Trump’s first denial of Russia involvement. King also points to it as an example of Pace’s doggedness as a reporter and why he has made her a regular contributor to his show. Pace has been explaining things and chasing stories since childhood. She grew up in Amherst, where she served as the co-editor of her elementary school newspaper, the Smallwood Chronicle. “She always said she wanted to be like Katie Couric,” said Pace’s mother, Diane, a radiologic technologist. “She just loved to write stories and document things, as early as we can remember,” added her father, Jim, who runs a landscaping business. During her time at Amherst, Pace became a youth reporter for the Buffalo News’ youth-written section, NeXt, and also landed an internship with the Cheektowaga Times. She enrolled at Northwestern University, one of the country’s top journalism schools, and in 2003 was part of a group of students who spent 10 weeks working as journalists in South Africa covering the HIV/AIDS crisis. She was the only member of that group who opted to work as a broadcaster, which made Pace’s stories especially challenging in a politically charged, racially tense environment. Unlike her print counterparts, Pace, who carried a camera into small towns to cover stories, had no opportunity to blend in or work subtly. Pace graduated in 2004 and returned to Africa, hoping to establish herself as a freelance journalist. But after six months she ran out of money and came back to the States, taking a job as a reporter at the Tampa Tribune. 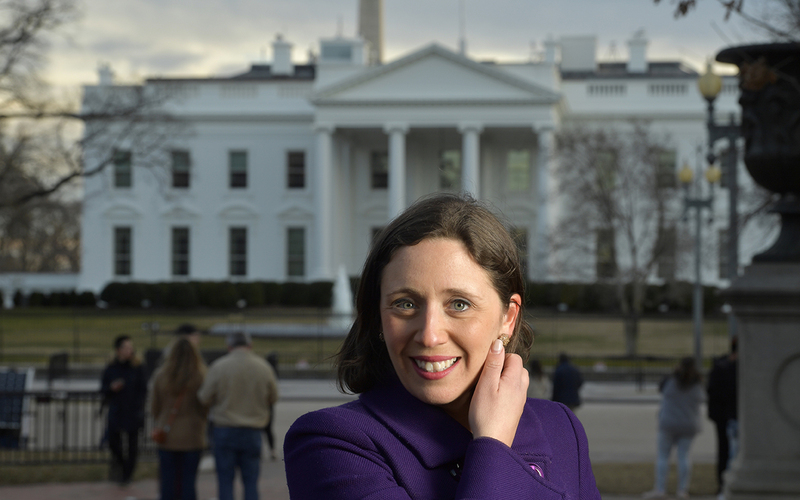 In 2007, she joined the AP as a video reporter and worked the campaign trail, covering the presidential election between John McCain and Barack Obama. She was appointed to a White House reporting position in 2009, when Obama took office. In the first couple years of the Obama administration, Pace established herself as a competitive, deeply sourced reporter who was well-versed in the inner workings of the White House. “I didn’t always like everything she wrote, but we never had a problem with feeling ever that Julie wasn’t treating us fairly, or asking the wrong questions,” said Jay Carney, Obama’s press secretary from 2011 to 2014. Carney’s successor, Josh Earnest, said Pace struck the “right balance of being tough but fair,” and was willing to hear out administration officials’ concerns without ever bowing to a favor — which he respected. AP Executive Editor Sally Buzbee can easily list Pace’s reporting accomplishments. But in a telephone interview, Buzbee said Pace’s judgment is equally impressive. Early in the Trump presidency, when a handful of media organizations – including the New York Times and CNN – were excluded from a gaggle with then-Press Secretary Sean Spicer, Pace made an on-the-spot decision that the AP wouldn’t participate in the briefing. Pace’s position on access is clear: More is better. That might seem to put her at odds with any White House. But two former Trump administration officials contacted by the News were effusive in their praise for Pace’s sense of fairness. “There’s a level of respect and professionalism that Julie exhibits that a lot of other reporters could learn a lot from,” Sean Spicer said. Mike Dubke, who spent three months in 2017 as Trump’s communications director, dealt with Pace in meetings with the White House Correspondents’ Association. On the late-January day of Stone’s arrest, much of King’s noon show was spent not solely talking about the news of the day, but watching it. As King, Pace and the other reporters sat in studio, they watched Stone emerge on the courthouse steps in Florida and, amid throngs of supporters and protesters, flash an arms-raised, Nixon-style victory sign. Stone spoke briefly in front of the courthouse, saying the agents who arrested him that morning “terrorized my wife, my dogs” and declaring his innocence. Back in Washington, King and his guests started providing commentary on what they were witnessing. “That’s the spirit,” King said. By 1 p.m., Pace was headed to the White House where, true to her prediction from that morning, another big story was brewing. Trump was about to alter the show by adding a twist to a non-Stone storyline. Pace joined dozens of members of the White House press corps in the Rose Garden, where Trump emerged from the Oval Office to announce he was temporarily ending the shutdown. Vice President Pence and most of the Cabinet stood to the side as the president delivered his remarks, and then ignored reporters as they yelled questions about the border wall and Stone’s arrest. Trump walked back to the Oval Office, and Pace gave a knowing smile. “That’s the show,” she said. 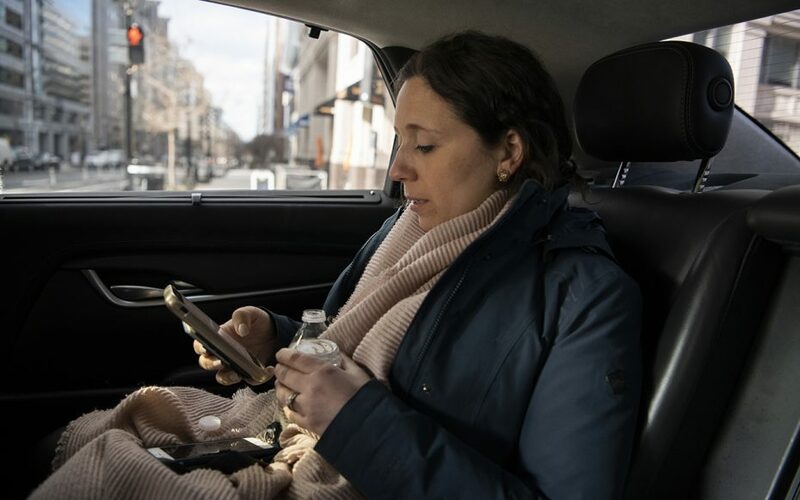 Several minutes later, after weaving her way through the press area of the West Wing and saying hello to her staff in the small booth where the AP’s six White House reporters work, she was back on Pennsylvania Avenue. A source she couldn’t name had just texted her and had finally agreed to meet. She was off — and that, too, is the show.